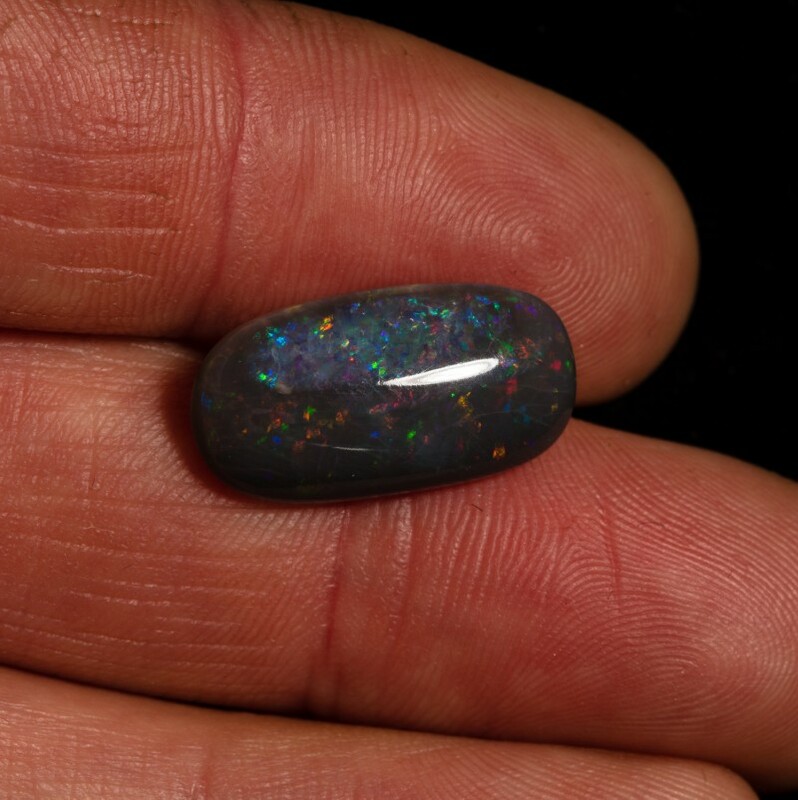 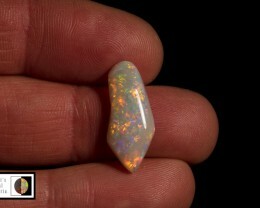 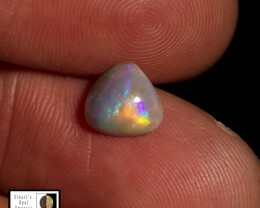 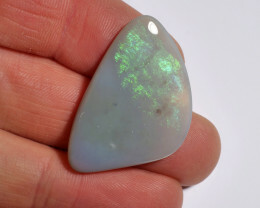 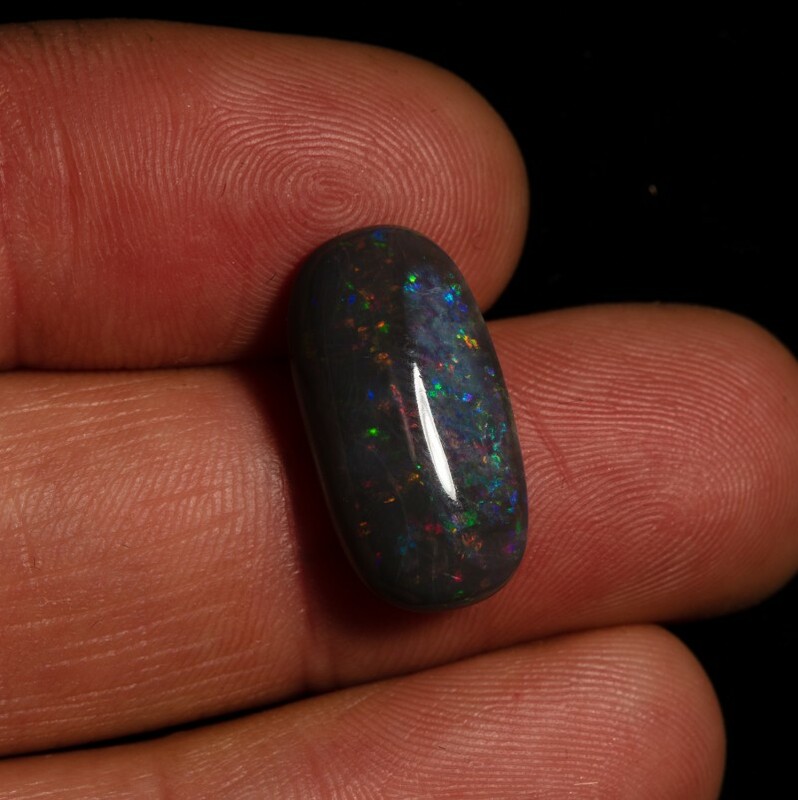 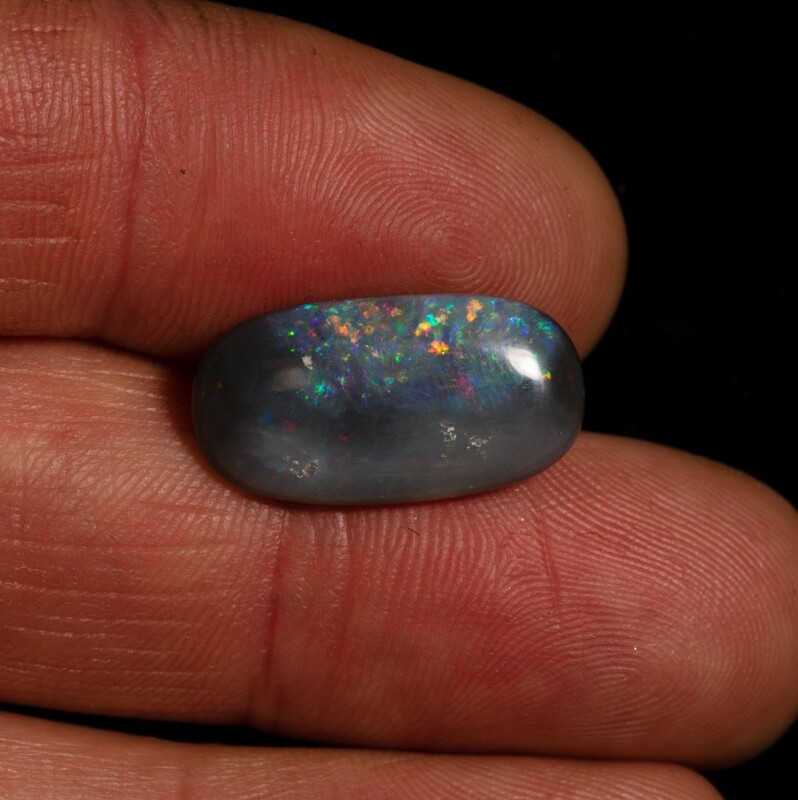 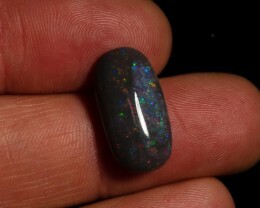 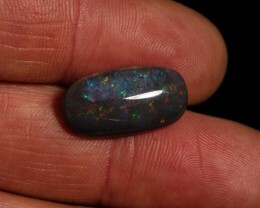 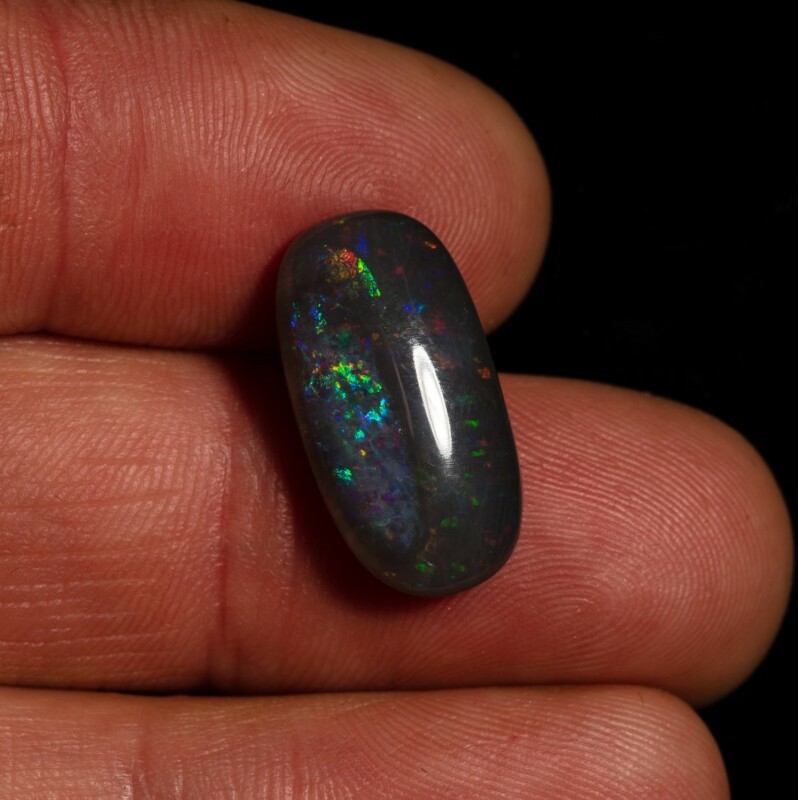 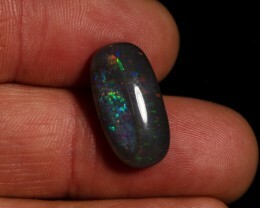 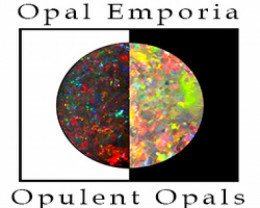 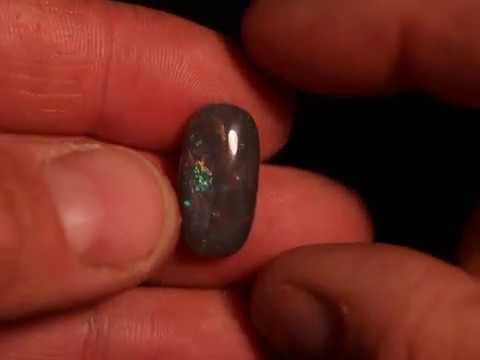 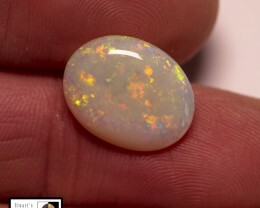 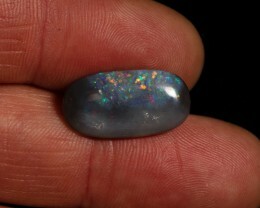 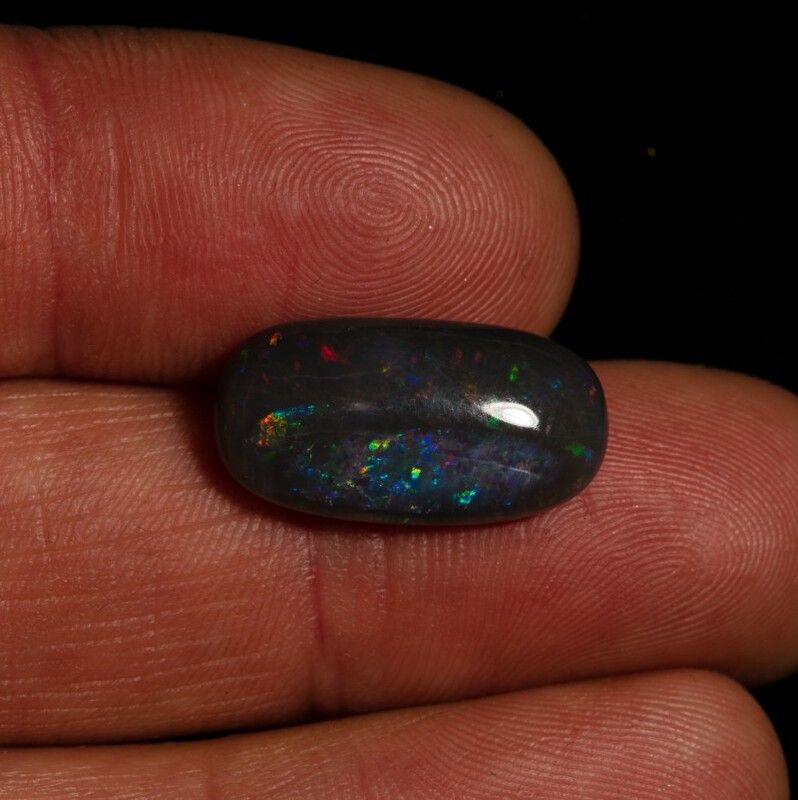 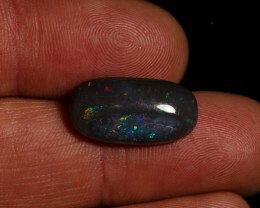 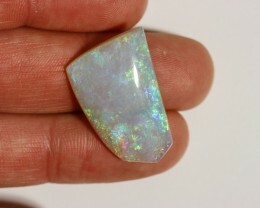 Very rare Mintabie black opal, medium dome cut long oval. 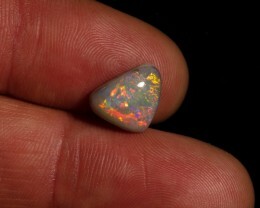 Body has a range of different fire areas and patterns. 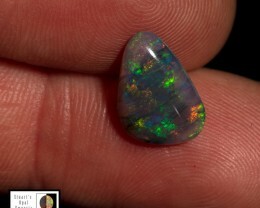 One side has a red flash fire pattern in lines down the face and too the other side there is a bright multicoloured eye of fire. 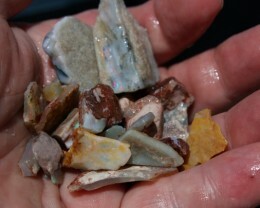 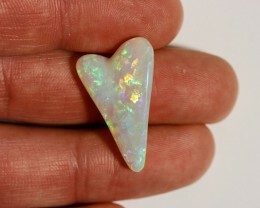 SALE 16.65 carat Mintabie Heart cut opal, orange green fire.